It is said that the toughest job in the world is to bring smile t face of people, through their hard work, professionalism and commitment to excellence Team getyourvenue is doing this marvellously. 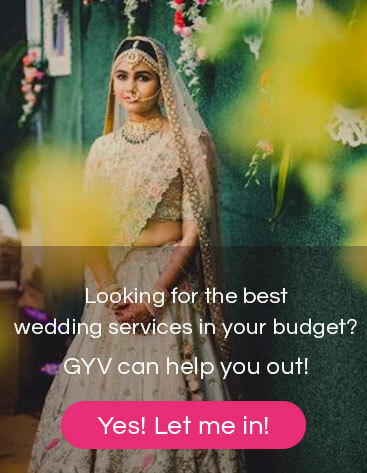 I ma proud and satisfied client for GYV. I want to thank the whole team for a great show at Shangri La for my sister’s wedding on 2 May 2015. Thanks Abhishek, Ashi, Pankaj, Richa and above all Neha for making it all possible. Thanks to whole team of GYV. Well done !! Highly recommend one and all for their services. Thank you very much for all of your efforts in easing out our wedding venue hunt. Everything at the venue went seamlessly: the ambience felt great and we had many compliments on how beautiful the decor looked against the artfully painted walls! The delicacies were top notch as was the catering staff”.